Join Modo in da house for In The House! 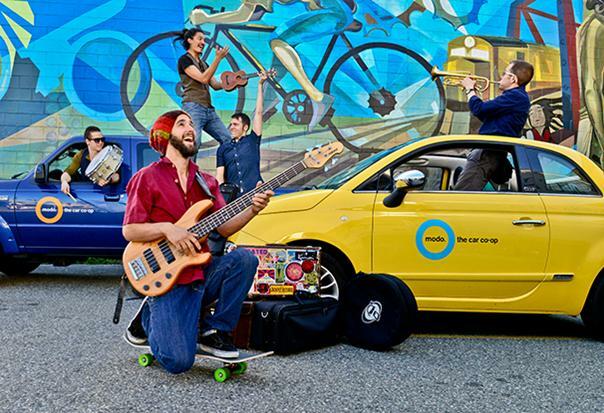 Modo is proud transportation sponsor for the 10th annual In the House Festival, a three-day extravaganza of music, dance, magic, comedy, burlesque and circus – all taking place in the intimacy of 13 homes and backyards around East Van! June 7, 8 and 9, the festival offers 20 captivatingly diverse performances, with no two alike. There's even shows for kids! Join us June 8 at 7pm as Modo presents a special showcase of local musical acts sure to get your foot tappin’ and your hands clappin’. East Van Represent features Glittering Kingdom, Blackberry Wood and Melissa Bandura performing at 1115 Semlin Drive. Find the full schedule and buy tickets at www.inthehousefestival.com. *** WIN TICKETS: Share Modo's blog post about the event via Facebook or Twitter, take a screenshot and email marketing@modo.coop to be entered to win 2 tickets to East Van Represents. Deadline is Friday, May 31. Big thanks to In The House Festival photographer Diane Smithers for the fab photo shoot with Buckman Coe and his band! Check out our favourites from the shoot on Modo's Flickr page. 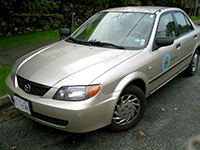 For more than a decade, Mazda Proteges were the most common make and model in our fleet. Over the years, we bought 38 of them, a record which still stands. The most common car in our fleet right now? The Toyota Matrix, of which we have 29. We also have 29 Nissan Versas, but they’re divided into 18 hatchbacks and 11 sedans. The oldest car in our fleet? That’s now the 2004 Toyota Sienna at Denman Place Mall. The average age of our fleet is 4 years old, which we recently learned is also the average age for Switzerland’s carshare, Mobility. Founded 10 years prior to Modo’s founding in 1997, Mobility boasts a healthy 102,100 members sharing a whopping 2,650 vehicles! Modo currently has about 8,000 drivers sharing 290 vehicles, and growing. Our 300th vehicle will hit the road this fall. In our annual survey, we weren't surprised to learn that well more than 90% of you commute via feet, bike, transit or telecommute (versus about 20% of Metro Vancouver as a whole). 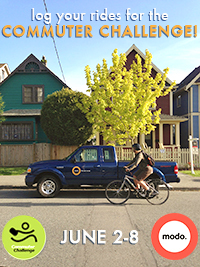 So you won't be surprised to learn that Modo is sponsoring this year’s Commuter Challenge! The fun, friendly FREE competition encourages individuals, companies and organizations to find creative solutions to transportation that reduce CO2 in the atmosphere. Plus, there are prizes! Find detailed instructions for how to join TEAM MODO here. Oh, and here’s something to tell your friends... We're rewarding BC Commuter Challenge participants with a special offer: FREE REGISTRATION + $25 FREE DRIVING when they sign up for a Modo membership! Have you heard? Vancouver's Chinatown Night Market is getting a turbo charge this year, with new vendors and dynamic programming designed to bring the whole community out and interacting. Expect live music, storytelling, ping-pong, Mahjong, outdoor movies, art and Modo! 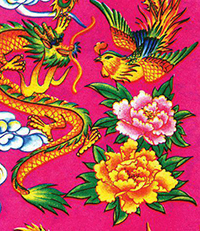 Throughout the summer, Modo and Rabble.ca will present a special podcast project, called the Chinatown Story Booth. Broadcasting from a Modo-vehicle-turned-recording-studio, Co-op Radio's Tanya Hill will capture the sounds and stories of the Night Market, talking with vendors, tasting the food, chatting one-on-one with Chinatown’s old guard, and inviting marketgoers to share their stories! Follow the Vancouver Chinatown Night Market blog for updates and recording dates. Also, keep an eye out for news on Modo Sharing Stations at the Night Market in July and August! Looking for something fun to do in your free time this summer? Why not join the Modo team as an event volunteer?! We'll be at a variety of events from Car Free Day to the new Vancouver Chinatown Night Market, from neighbourhood barbecues to Vancouver Pride festivities, and more - including the New Westminster Show & Shine! And we need volunteers to help share the good news about sharing. In exchange for a short 3–4 hour shift, volunteers get $20 in free driving, plus free admission to the events. Email Tommy for an updated event schedule and to learn more about volunteering: tommy@modo.coop. This June, the MOV is inviting you to get down to beautiful Vanier Park and experience your museum! Think you're the fastest tire-changer in the West? Come prove it at the Flat Fix Fiasco presented by Modo the Car Co-op! Participants will compete in a tire-changing competition with an elimination playoff format until one person is left standing. The Top 3 finishers will all receive a Modo gift pack with a little something extra thrown in from MEC. Wheels, tires, tubes, tire-levers, and pumps will be provided by MEC. Hosted by Terminal City Glass Co-op. Pets welcome! 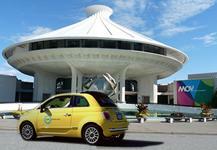 Find a 2013 white Fiat 500 (#451) instead of a 2005 Toyota Matrix. Find a 2013 blue Chevrolet Orlando (#462) instead of a 2011 Nissan Juke. As of May 28, find a 2012 purple Scion iQ (#459) and a 2011 red Nissan Juke (#302). Find a 2013 red Toyota Prius C (#461) instead of a 2008 Toyota Corolla. Find a 2011 grey Honda CRV (#343) instead of a 2003 Mazda Protege. Find a 2012 grey Chevrolet Orlando (#463) instead of a 2007 Mazda 5. Find a 2013 red Toyota Prius C (#458) instead of a 2005 Toyota Corolla. Find our Dodge Journey located one block south of its previous home. Park in front of 2395 Lakewood Drive, on the west side of the street, close to the lane. Find our Nissan Juke located one and a half blocks south of its previous home. The designated Modo stall is on the east side of Lonsdale Street, just south of 4th Avenue.